Earlier in January, one of the most animated, outspoken and political indulged cricketer while speaking exclusively to Republic TV's Editor-in-Chief Arnab Goswami had admitted that he was ready to join politics. In the race up to the Lok Sabha elections that are scheduled to be held in seven phases from April 11 to May 19, the politically vociferous cricketer will be exploring his ambitions in the field and is likely to join the BJP on Friday. This development comes a day after BJP released its first set of 185 candidates on Thursday evening and Friday morning. Earlier in January this year, one of the most outspoken, animated and politically indulged cricketer shared his willingness to join politics to Republic TV's Editor-in-chief Arnab Goswami. During the sincere, candid interaction, the 2007 World T20 and 2011 World Cup-winner said that while he hadn't given the matter much of a thought, he would be willing to step into the (political) field if the people of this country desire so. "If people think that I'm good enough, and if I believe that I can make a change in this country, and if I feel that strongly and if I have the energy, I will definitely do something for the country to make it a better place. 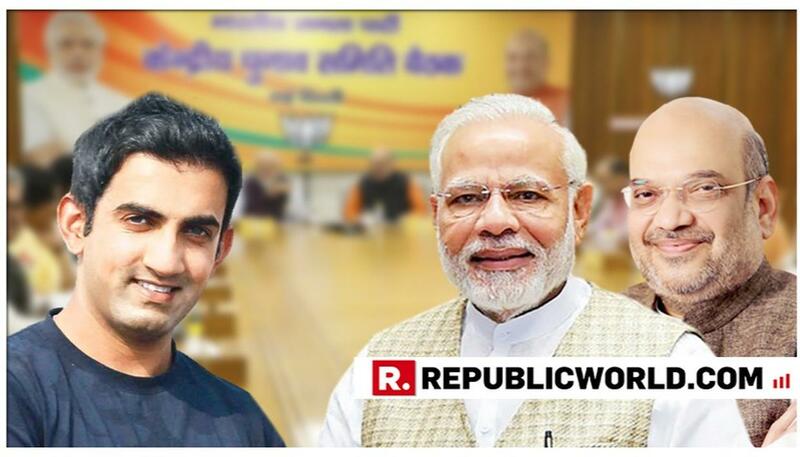 I will make sure that I do everything possible in my own capacity, and if you all (people of this country) believe that I should get into it (politics), I'll definitely give it a thought," responded Gambhir when asked if he should begin a political career.